Brianne Scott is premiering her dance piece And All Good Things Are Yours for the BREATH concert series this spring with MM2 Dance Company, where she has danced and choreographed for the past three years. While many dancer-choreographers feel pulled by both roles or look to a time when they will be exclusively creating dance for other dancers, Scott admits she “would prefer just dancing and performing the art of others. But I do enjoying the process of creating and figuring it out. Of course, choreographing gives me a singular voice, so it‘s rewarding from that perspective. 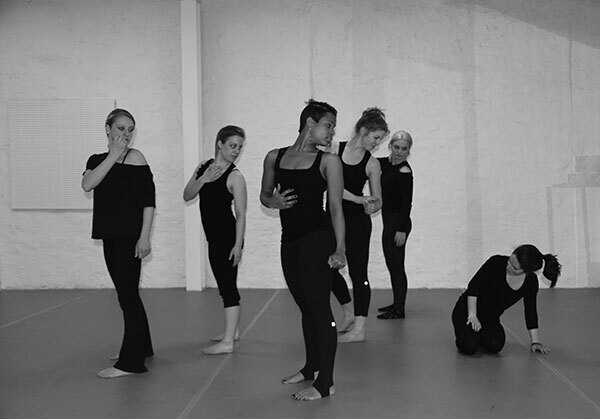 Scott’s reluctance as a choreographer is a bit of a surprise when you see her in the studio, setting her work on the dancers performing this piece. Scott not only seems completely at ease and organized with them, but completely zoned in on the process and the joy of artistic camaraderie. After a run-through, Scott talked about her experience with the company and development as a dancer. “I was in college when I auditioned at MM2, this is my third season. Now, I’m out of college and mainly focused on dancing. 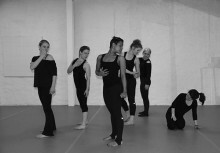 I previously choreographed for students at a studio. Also, in college, we did student shows and I was able to choreograph. . And I‘ve choreographed for MM2 every year since I started,” Scott said. Scott has studied “All kinds of dance,” she said, “including jazz, tap, hip-hop, pointe, modern, African dance. and modern, but modern was the best for me,” Scott explained. “I really like finding different crossover points. Once I pick and idea or song, it just starts drops into place with me. I usually don’t change my mind. I’ll edit after I see things on someone else’s body, “ Scott explained. “I have a narrative and a main character, who is alone in the beginning – breathing, almost panting, when the other dancers enter and and begin to focus on her.” Scott explained.